This is rather a dry subject, but that’s the point. I’ve switched back and forth between covering crownboard holes in winter to keep the bees warm, and leaving them open for ventilation. I now think that open is the better arrangement, but it’s not ideal. Instead, this year I have a new creation: the Dry Board. Rusty Burlew of Honey Bee Suite (whose idea I adapted*) calls these “moisture quilts”. I prefer the name “dry boards” but the idea is the same - an insulating layer over the bees’ living quarters to protect them from damp. It is positioned at the top of the hive, below the crown board. Warm air from the breathing winter cluster rises up through the ventilated dry board and cools so its moisture condenses and drips back down on to the dry board - not on to the bees, the frames or the wood of the hive. which will let air flow through the dry board. I stretched loosely woven cloth over the frame. I'd started collecting corks to fill the dry board, but didn't have enough. So I decided to try shreddings from the paper shredder. Rusty uses wood chip but I didn't have any to hand. The paper rests lightly on the cloth. Stacked sugar board and dry board waiting to be added to Queen Romaine’s hive. Sugar board and dry board in place. 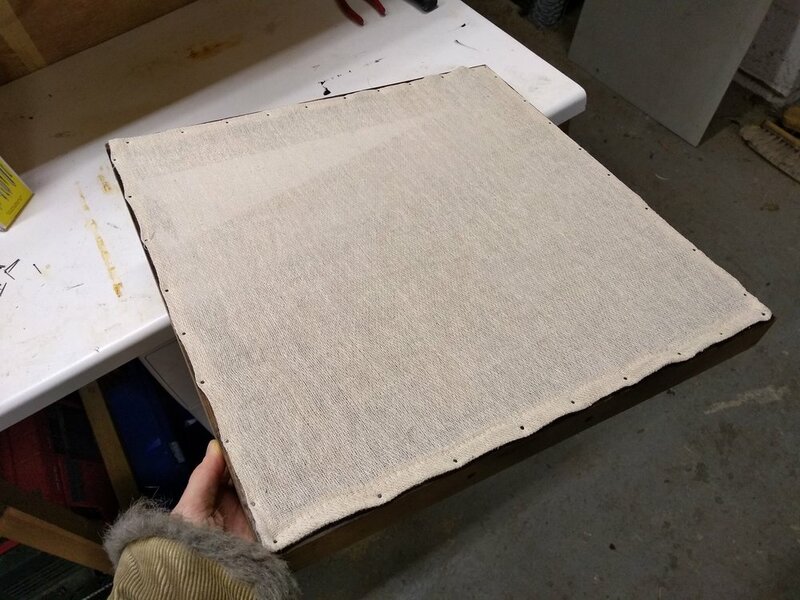 The first dry board had unfinished cloth edges, fiddly staples and unscreened ventilation holes. 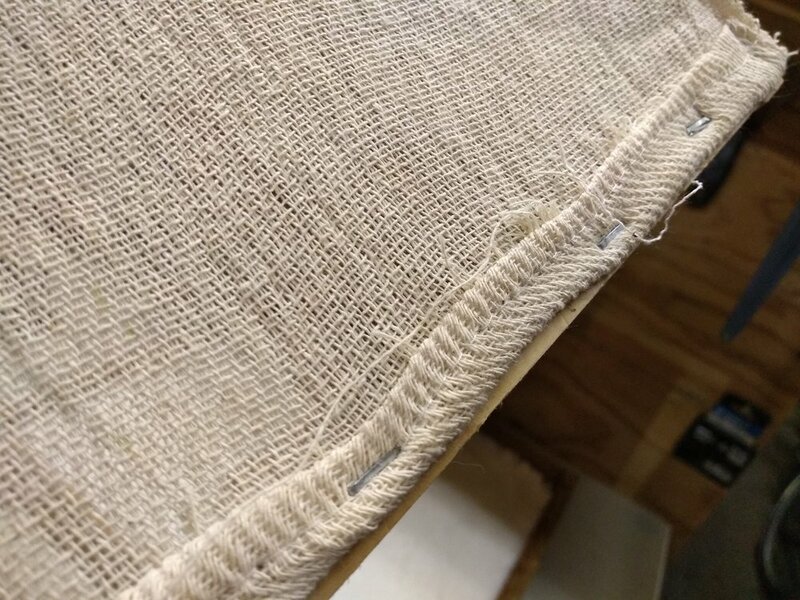 I realised afterwards that I could fold the cloth edges, nail the cloth more easily than stapling it, and put pieces of thin cloth over the ventilation holes to keep out intruders. I suppose it’s the way of things that the first version of a product, or first edition of a book, etc, is where you make most of your mistakes, which can then get fixed in later versions. 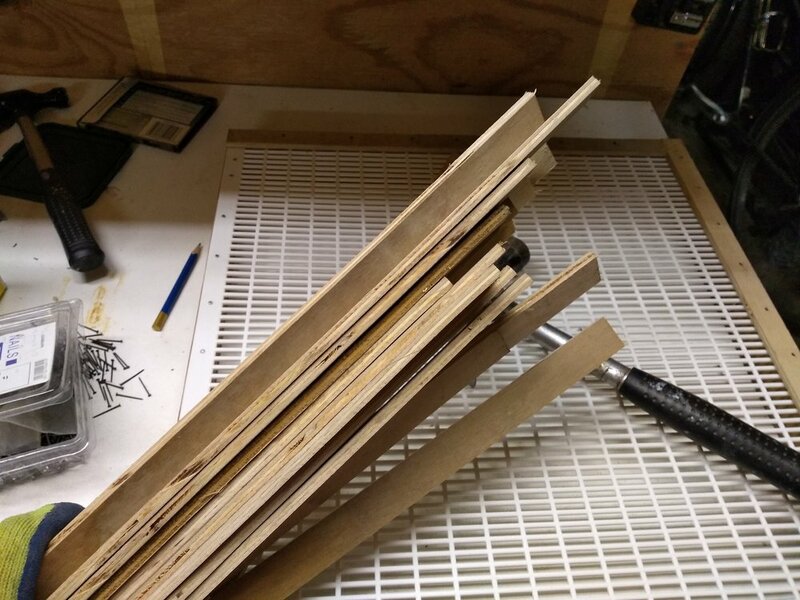 Anyway, just like the first dry board, my first sugar board had some errors in design and production. They revealed themselves after I’d written that first post about it. So here, for the record, is a report on what went wrong. Mistake number one: I overlooked beespace. 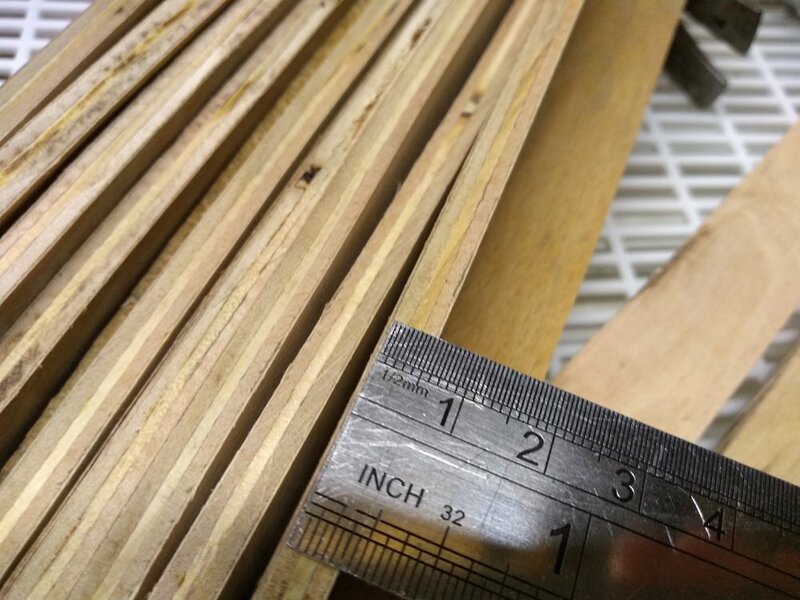 A huge, howling error, as befits a beekeeper who is new to designing and building hive parts. I discovered the error of my ways when I came to fit the sugar board on to the brood box of Queen Mab’s hive. My hives operate on the common rule of “bottom beespace”, i.e., the stacking parts all have an internal cavity at the bottom which is the height of one bee**. Effectively, each part has an outer rim around its under-edge, the rim being one bee deep, so that you can stack the parts on top of each other and still allow a single layer of bees to move between them. But the base of my sugar board was simply the flat plastic queen excluder (for this first sugar board design, see here). 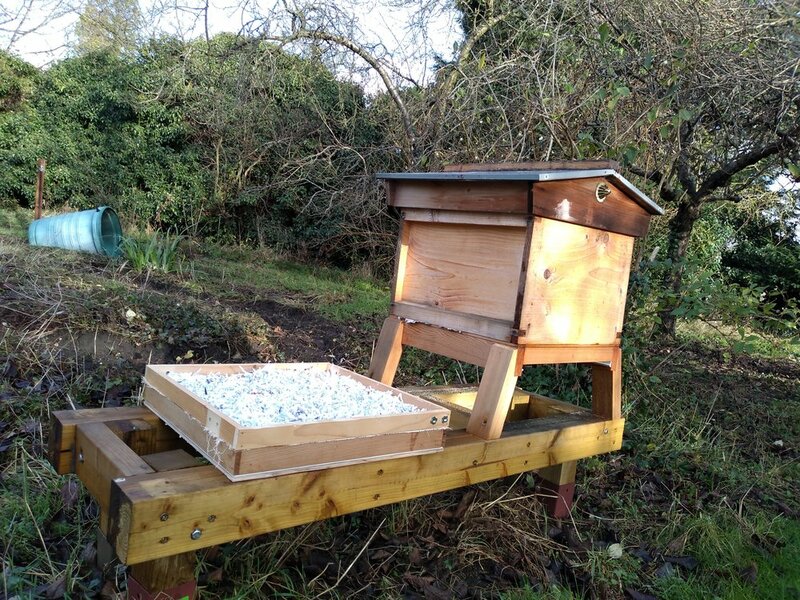 I might have got away with it on a colder day, but I had chosen a relatively warm one (for December) to lift the hive roof and fit the sugar board, and it was warm enough that the bees were active and bubbled up to the top of the brood box to see what was going on. So, bees became trapped against the top bars of the brood box when I placed the sugar board on top. And the more I slid the sugar board around to try to move the bees out the way, the more bees seemed to come out of the brood box to investigate. So in the end I just put the sugar board on and replaced the roof and crown board, and slunk guiltily away muttering my apologies to the crushed bees. 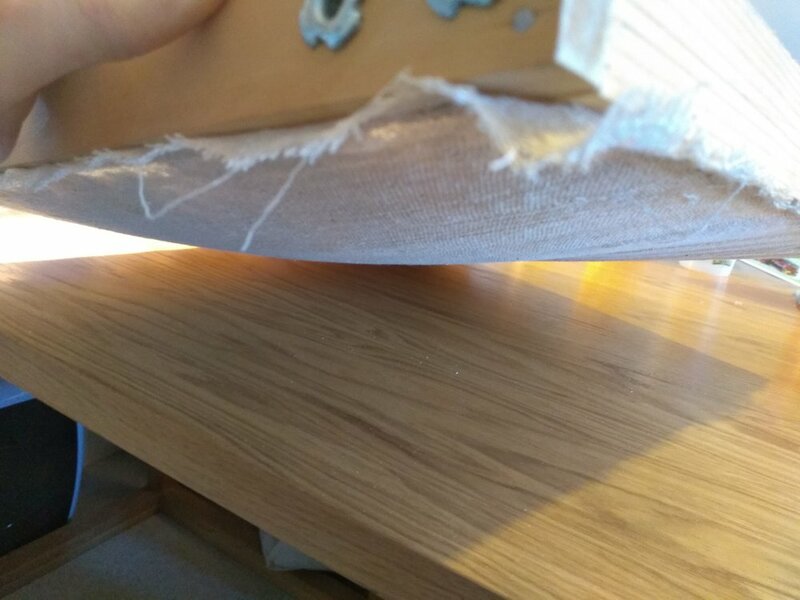 This has been fixed in later versions, which have bottom beespace built in by way of specially cut pieces of wood around the edge. In fact, the version of the sugar board shown in the photos on Queen Romaine’s hive has the beespacing rim, which you can see if you look closely. 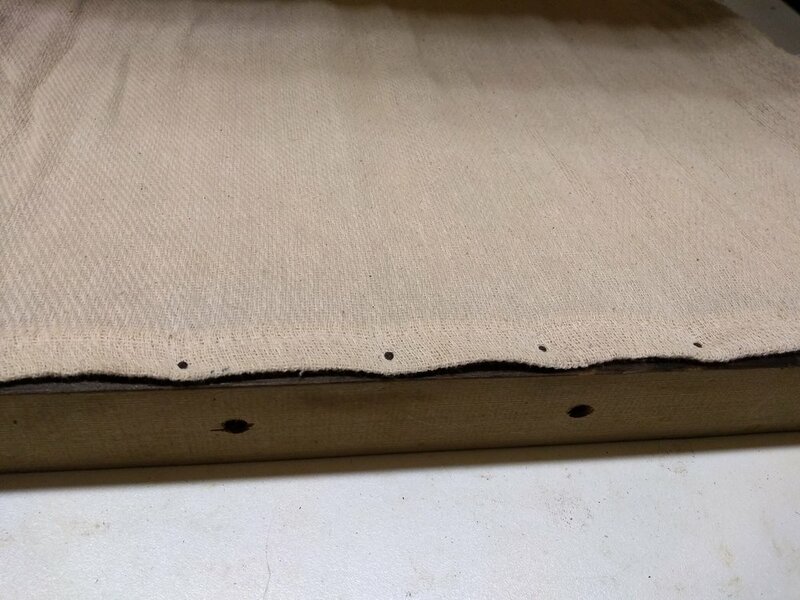 Unfortunately, this “sugar board 2.0” had its own problems as a result of the rim: when packing the board with that nice “dry snow” sugar, the sugar tends to seep through the holes in the queen excluder and into the beespace. The sugar in the beespace then breaks loose when the board is lifted up, some of it remaining behind on the garage bench and the rest of it raining down over the bees when the board is placed on the brood box. Rusty’s “candy boards” don’t have these problems, because she constructs the thing without a beespace and then sits it on an imirie shim above the brood box. I don’t want the imirie shim, so I’ll have to make do (or make further refinements). Mistake number two: it turns out that 4 kg of sugar is about twice as much sugar as I thought it was. I must have been looking at the “pounds” scale not the “kg” scale on the dial of my weighing scales when I measured out the sugar the first time round. So the first sugar board got just under 2 kilos of sugar. The second sugar board got the full dose. And by the third sugar board I didn’t bother weighing out the sugar any more, because the exact amount isn’t critical and I knew roughly how much sugar and water to mix. Somewhat worryingly, when I went to fit a dry board (version 2.0) on top of the original sugar board (version 1.0) on Queen Mab’s hive, I discovered the bees had already taken about half of the sugar! So, they must have needed it. But if they’ve eaten half already I will need to top it up soon. Or, they object to it and are carting it away and disposing of it somewhere (seriously - Rusty says this can happen). Anyway, it seems it’s better to use the full measure of 4 kg or so, to ensure the colony doesn’t run short of food before the spring workers are out in force. *see Rusty’s moisture quilts here and here. ** the alternative is “top beespace”. It doesn’t seem to matter which way you have it, as long as all bits of one hive are consistently top beespace or all are consistently bottom beespace. What you can’t have is a mix of the two, or you end up with double spaces (which bees will brace with extra comb, making it difficult to take the hive apart) and missing spaces (allowing no room for bees - a bad thing in a beehive). So how did the boards do? Very well! All colonies survived the winter. Their remaining sugar levels in April ranged from virtually nil (Q Mab) to virtually full (Q Romaine), with Q Ottilie and Q Peony somewhere inbetween. The cloth of the dry boards survived fairly well, except Queen Mab’s which has a hole in (eaten by those hungry bees I think). I have peeled off all the ventilation hole covers. 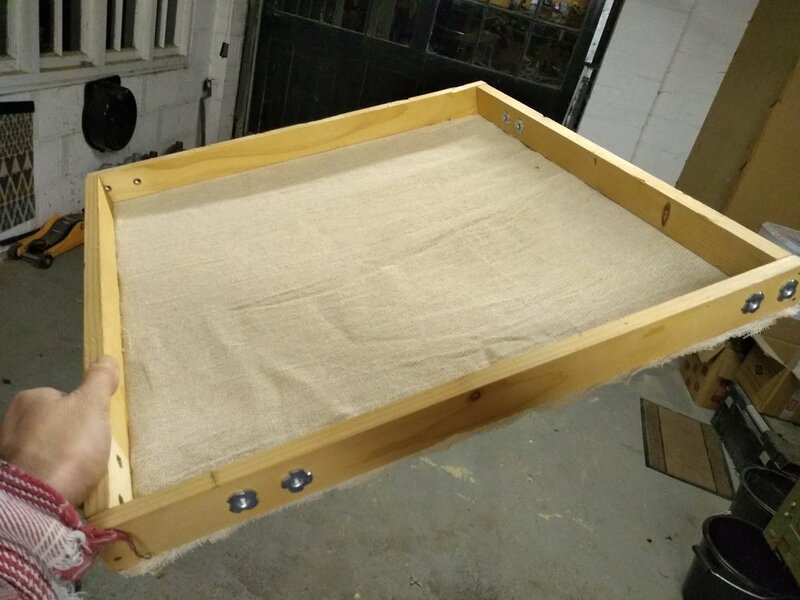 Queen Romaine’s dry board was the first one that I did and was made before I started covering the ventilation holes with thin cloth. That dry board and its crown board were mostly dry inside, whereas the crown boards which had sat on the dry boards with screened ventilation holes had a lot of condensation hanging under them. 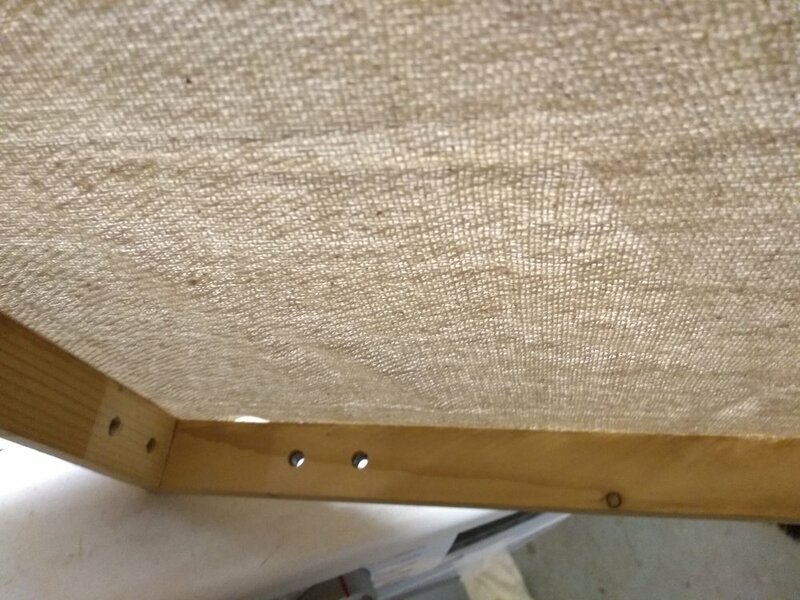 The screening cloth must reduce the air flow too much. The reason I added it was to keep out creatures who might otherwise find the roofspace of a beehive a nice cosy place to live. But the only evidence of wildlife in Queen Romaine’s roofspace was a couple of spiders, so that concern was probably unjustified.